A mobile robot exploring an unknown environment has no absolute frame of reference for its position, other than features it detects through its sensors. Using distinguishable landmarks is one possible approach, but it requires solving the object recognition problem. In particular, when the robot uses two-dimensional laser range scans for localization, it is difficult to accurately detect and localize landmarks in the environment (such as corners and occlusions) from the range scans. 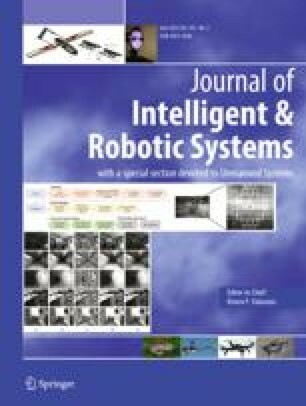 In this paper, we develop two new iterative algorithms to register a range scan to a previous scan so as to compute relative robot positions in an unknown environment, that avoid the above problems. The first algorithm is based on matching data points with tangent directions in two scans and minimizing a distance function in order to solve the displacement between the scans. The second algorithm establishes correspondences between points in the two scans and then solves the point-to-point least-squares problem to compute the relative pose of the two scans. Our methods work in curved environments and can handle partial occlusions by rejecting outliers.